Michael accepts work in all of Chambers’ practice areas. Michael has acted across a wide range of family hearings in the Family Court and High Court. Michael regularly appears in public law proceedings and has experience of representing Respondents accused of chronic neglect and non-accidental injury. Michael has recently secured the successful return of a child to a mother’s care against a Local Authority care plan advocating adoption. He has also successfully represented a grandmother challenging a negative viability assessment in the context of a care plan of adoption. Michael appeared for grandparents in a 9 day matter heard in the High Court which dealt with jurisdictional issues in respect of placing children in a non-Hague Convention state. Michael acts for both Applicants and Respondents in private law hearings. He has experience of dealing with cases of ‘implacable hostility’ and has represented Children’s Guardians pursuant to FPR 16.4. In financial remedy proceedings Michael regularly appears in FDRs and Final Hearings. He has dealt with a number of cases involving family businesses and how they ought to be dealt with in the context of ancillary relief proceedings. Michael accepts instructions from both Prosecution and Defence in a wide range of criminal matters. Michael is a Grade 2 CPS Prosecutor and regularly appears for the Crown in matters such as fraud, assault, burglary, drugs and public order offences. He has successfully represented the Crown in a week- long fraud matter which involved a number of contentious legal arguments surrounding the admissibility of telephone evidence. Michael also prosecutes for Local Authorities and has successfully prosecuted matters of benefit fraud and environmental offences on their behalf. Michael was led as the disclosure junior in Operation Patton (Conspiracy to Supply Class A & Class B Drugs) heard at Newcastle Crown Court over 6 weeks. He has a busy Defence practice and prides himself in giving sensible and readily understandable advice to his clients. Michael has an interest in road traffic offences and regularly succeeds in both exceptional hardship and special reasons arguments. Michael undertakes civil work across all of Chambers’ practice areas. He advises Claimants and Defendants on both liability and quantum in areas including Personal Injury, Breach of Contract, Sale of Goods and Boundary Disputes. He has advised upon a notice to disclaim land under the Insolvency Act 1986 and was subsequently successful in an application to have the disclaimed land vested in the Petitioner. Michael has developed a practice in respect of actions against the police and regularly advises on the merits of false imprisonment and assault claims. 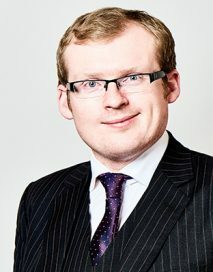 Michael successfully appeared on behalf of a Claimant in the High Court in defamation proceedings. He advises and appears for both Claimants and Defendants in applications under the Trusts of Land and Appointment of Trustees Act 1996. Michael deals with costs matters in particular Costs and Case Management Conferences. Michael acts for both Claimants and Respondents in employment matters. He has successfully appeared for a Claimant in an unfair dismissal claim involving allegations of automatic unfair dismissal alongside ordinary unfair dismissal. Re A (2016) – Represented the Mother in successfully challenging a care plan of adoption against recommendation of both the Local Authority and the Children’s Guardian. Re C (2015) – Represented the Maternal Grandmother in successfully challenging a negative viability assessment and having her granddaughter placed in her care under a Supervision Order. Re W (2014) – 9 day matter heard in the High Court involving the placement of children in a non-Hague Convention state. R v H, H & F (2015) – Successfully appeared for the Crown in a 5 day fraud matter involving an application to exclude telephone evidence. R v D (2015) – Successfully appealed the terms of a Sexual Offences Prevention Order to remove a defendant’s restriction on his internet use. Operation Patton (2014) – Disclosure Junior in a 6 week drugs conspiracy heard at Newcastle Crown Court. W & T-W v D (2015) – Successful High Court defamation claim. E v B (2015) – Multi-track claim involving expert evidence regarding tinnitus. S v Chief Constable of B Police (2014) – Successful claim of false imprisonment and conversion against a police force.